Keyboard support is barebones, and there is no mouse support in-game. A controller is recommended. Devil May Cry 1 is missing some video effects (like motion blur, depth of field) and has audio bugs. 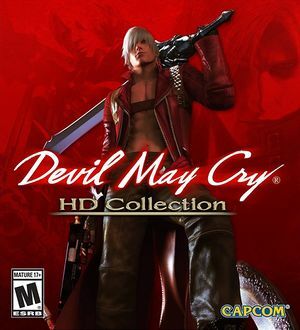 Devil May Cry HD Collection: Devil May Cry HD includes only Devil May Cry 1 HD, and was given to Twitch Prime subscribers for free in March 2018. Can be opened with a text editor. Changing options in the launcher will overwrite this. Stored individually per game as dmc1.sav, dmc2.sav, and dmc3.sav. Limited to 1920x1080 by default. Use DMC HD Launcher Fix to unlock all resolutions. Many game elements designed for 4:3 and are pillarboxed. FoV remains as if in 16:9, even with custom resolutions. Use DMC HD Launcher Fix. Enabled by default. No in-game option to turn it off. On/Off toggle for post processing AA. Capped at 60 FPS and refresh rate forced to 60 Hz. The 3D Vision fix includes toggles for cutscene black bars, depth of field, bloom, ghosting, etc, with rebindable keys. Download Special K first and install. This pack includes Hi-res menu artwork, Hi-res moon, Dante hair transparency fix and launcher fix for DMC3. Simply extract files to Devil May Cry HD Collection game folder after installing Special K.
See the Devil May Cry HD Collection 3D Vision Fix main page for hotkey command information for each game. Details about the Hi-res Artwork and texture changes can be found in this Steam discussion thread. 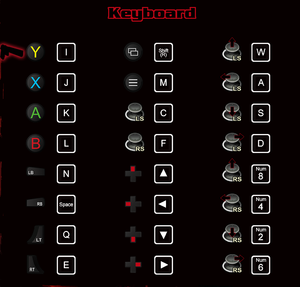 Keyboard Input Rebind options (main launcher). HD and Classic presets for DMC1, no options for DMC2, fully rebindable in DMC3SE. Stereo output only. 2.1 soundmix for certain FMVs. Only DMC3SE is dubbed in Russian. Several users are reporting that Devil May Cry 1 will not run on AMD Phenom processors due to a lack of SSE4.1 support. DMC 2 and DMC 3 SE do not appear to have this problem. 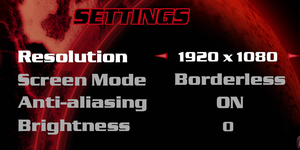 The AMD FX lineup is not affected. Download Devil May Cry HD Collection 3D Vision Fix. Change ;refresh_rate=60 to refresh_rate=120 or your desired refresh rate (make sure to remove the ;). See Helix Mod: Devil May Cry HD Collection. ↑ 1.0 1.1 File/folder structure within this directory reflects the path(s) listed for Windows and/or Steam game data (use Wine regedit to access Windows registry paths). Games with Steam Cloud support may store data in ~/.steam/steam/userdata/<user-id>/631510/ in addition to or instead of this directory. The app ID (631510) may differ in some cases. Treat backslashes as forward slashes. See the glossary page for details.